Please sign our memorial guest book, tell us your memories with Lyle, and read what others have written. 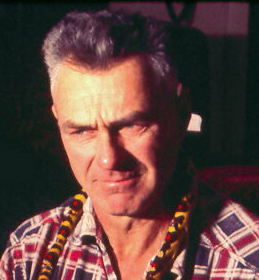 Lyle Dale Chrisman, age 92, passed away July 19, 2003 in Beaverton. He is survived by his children, Leon Chrisman of Sunnyvale, Calif., Carol Ganzer of Medford, and Gayle Furlow-Cole of Portland; grandchildren Lonnie Chrisman, Lucinda Chrisman, Eric Bell, Sean Bell, Filip Bryant Furlow and Michael Furlow; nine great grandchildren; sisters Velma Limbeck of Scio and Gladys Porter of Stayton, and brother Leroy Chrisman of Stayton; ex-wives Blanche Chrisman of Stayton and Rosie Chrisman. Daddy was a Logger (1971): To his little girl, he was a shining knight, and the giant truck he drove was his steed. Biography of Lyle Dale Chrisman (1993, revised 2003) by Carol (Chrisman) (Bell) Ganzer of Medford, Oregon, his daughter. Genealogical information for information on family and ancestry of Lyle Dale Chrisman. 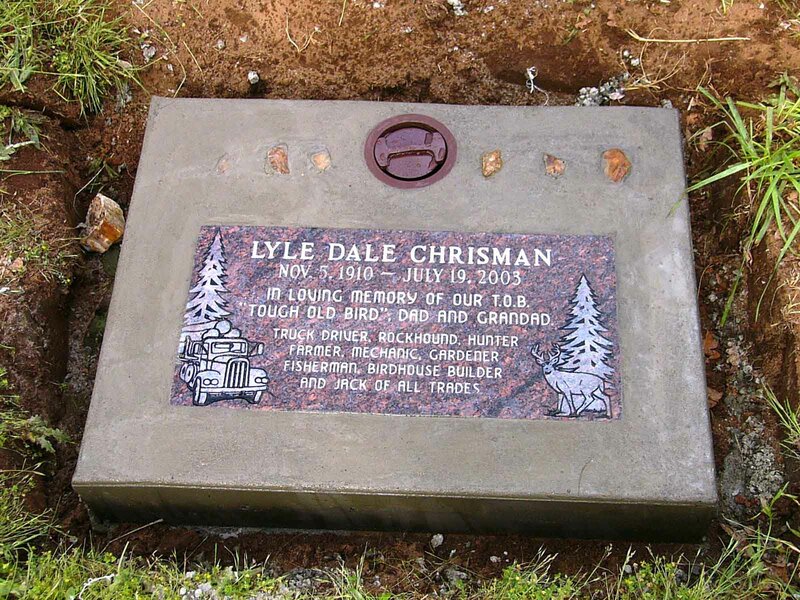 The memorial service for Lyle was held on August 23, 2003 at Wisner Cemetery near Stayton, Oregon. View pictures of family and friends taken during the gathering.